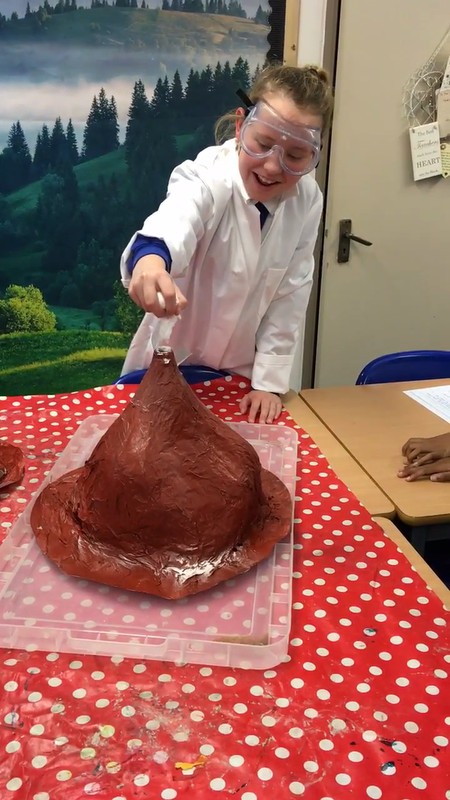 Miss Hall is the current year 6 class teacher and Deputy. She has worked at the school for 2 years, during this time taught across KS1 and 2 in years 2, 4 and 6. 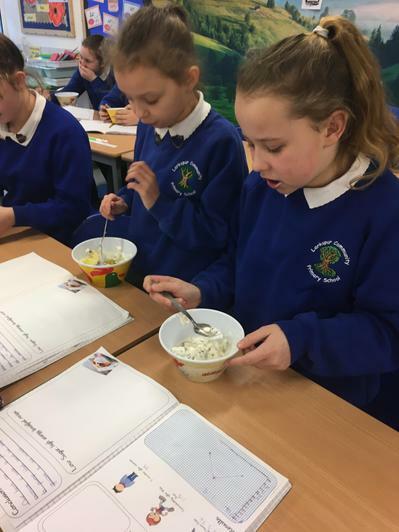 Miss Hall really enjoys the challenge of preparing her pupils for their Year 6 SATS and hopes to give them the very best opportunity to achieve to their full potential. In addition to working with our year 6 pupils, Miss Hall also coordinates music, art, technology and English. She has a particular interest in The Arts with a love of playing flute and recorder while attempting to learn to play guitar and piano! You'd be hard pushed to find a classroom that belongs to Miss Hall without getting tangled in some twinkly lights. She loves all things creative and looks forward to finding opportunities to bring creativity into every aspect of learning. Miss Hall lives at home with her partner, son Cameron and pet tortoise Timmy. She loves cycling, gardening and having a blast on the saxophone. Mrs Slater has worked at Larkspur School since 2004. She started as a part time teaching assistant and, over the years, has progressed to a full time member of staff with HLTA status. Not to be found with time on her hands, Mrs Slater also coordinates ICT and served on the Governing Board for over 14 years. 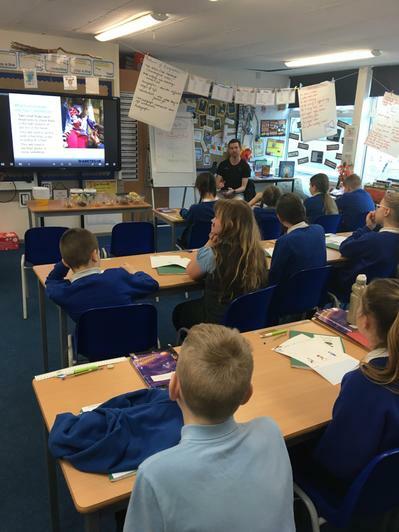 These days, she can be found supporting Year 6 in the morning and teaching Computing to Key Stage 1 and Key Stage 2 pupils, in the afternoon. When not at work, Mrs Slater enjoys reading, walking and of course, playing on the computer. She lives at home with her husband, three grown up children and three dogs. 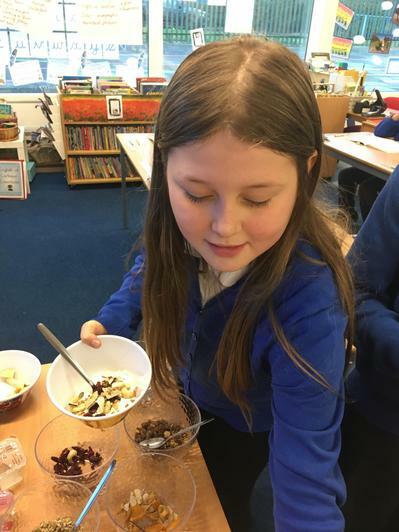 Year 6 enjoyed an educational afternoon with Adrian, a diabetic who came into to discuss life with diabetes, having a balanced diet, the importance of exercise and maintaining a positive outlook on life. 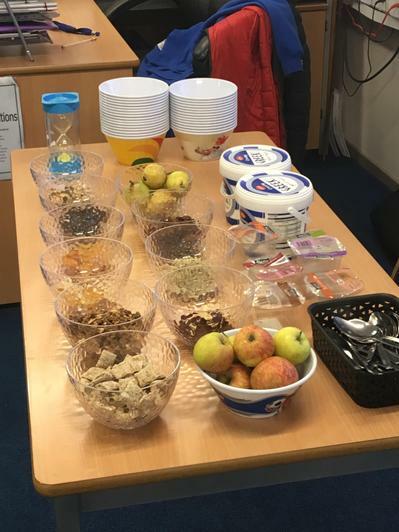 We enjoyed learning about how to manage diabetes type 1, recording our BPM before, during and after a Harrier led mile run and trying out a variety of healthy ingredients to add to a low sugar, energy packed breakfast. Yum! 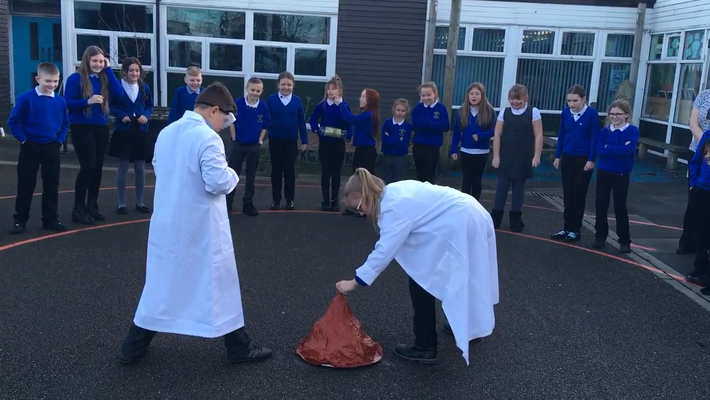 2nd Attempt - Coke and Mentos! 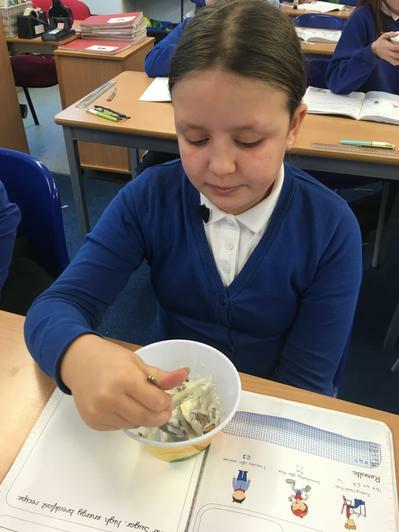 Children worked in group to explore the components and functions of the human digestive system. 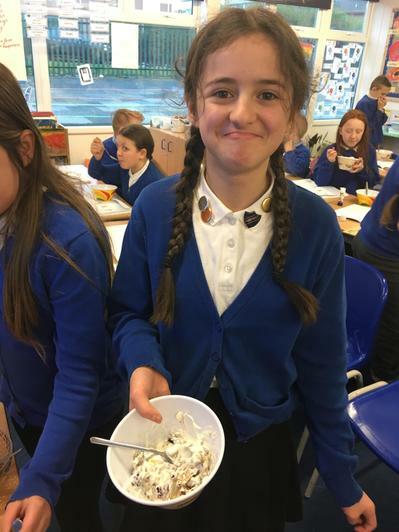 They recreated their own digestive systems using some very messy food stuffs along with plastic bags (stomach), tights (intestines) and paper cups (rectums)!